As you're aware, the Danbury Fair Mall has been completely renovated and an indoor festival was held to kick off the opening of the newly remodeled place. NOTE: Don't worry, the high-flying acrobat, who scared the living hell out of everyone, was not hurt. Later I'll post before and after pictures of the interior of the mall and you can judge the renovations for yourself. Tonight at the Bethel Cinema, the Connecticut Blue 2 PAC will screening the latest documentary from filmmaker David Earnhardt entitled "Uncounted: The new math of American elections. This film recounts the tales of election fraud in the 2004 presidential race as well as tales of voter disenfranchisement in 2006 elections. This movie should be a wake-up call for everyone and be a reminder of things to come as we approach the 2008 elections. UNCOUNTED shares well documented stories about the spine-chilling disregard for the right to vote in America. In Florida, computer programmer Clint Curtis is directed by his boss to create software that will “flip” votes from one candidate to another. In Utah, County Clerk Bruce Funk is locked out of his office for raising questions about security flaws in electronic voting machines. Californian Steve Heller gets convicted of a felony after he leaks secret documents detailing illegal activities committed by a major voting machine company. And Tennessee entrepreneur, Athan Gibbs, finds verifiable voting a hard sell in America and dies before his dream of honest elections can be realized. If you're not a fan of the NCAA tournament, stop on by the Bethel Cinema and catch the screening of this important movie. Click here for a viewing of the movie trailer. From City Hall on March 13th, here's the City of Danbury's broadcast of the Zoning board of appeals. NOTE: The city experienced problems with the sound as it appears that the microphone for the speakers was not turned on. 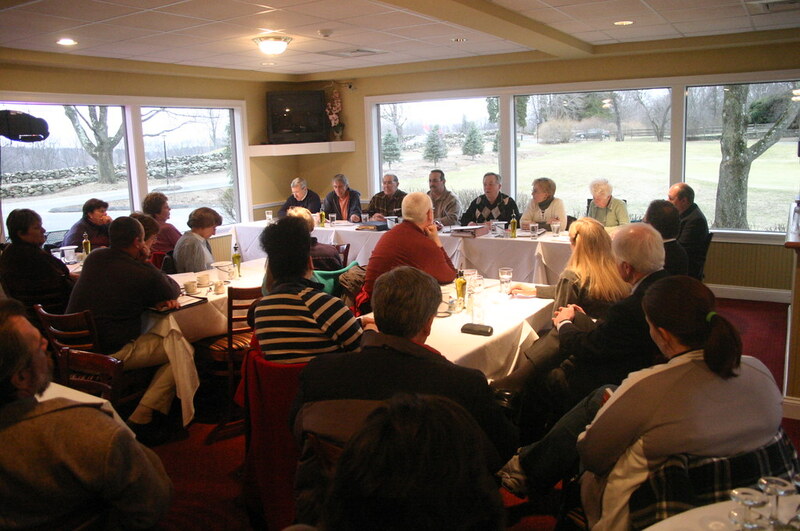 NOTE: THE NEXT REGULAR MEETING IS SCHEDULED FOR March 27, 2008. #07-77 – CONTINUED - Antonio A. Ramos & Antonio C. Narciso, 2 Broad Street (K12270), Sec.6.A.3.a., to reduce rear yard setback from 30 ft. to 3 ft., to reduce side yard setback from 20 ft. to 3 ft., to reduce front yard setback from 30 ft. to 27.7 ft.; Sec.8.C.1.c., to allow continued parking in front yard, for ironworks operation (IL-40 Zone). #08-08 – CONTINUED - Pamela Equities Corp., Candlewood Pines, Lots 1 – 5, Winnebago Trail (H03069), Sec.4.G.1., to permit parking in req’d. front yard (RA-80 Zone). #08-09 – Richard Rizzo (Agent for Colonial Ford), 126 Federal Road (L08024), Sec.8.E.3.a. (3)., to very requirement allowing only 1 free-standing sign for each 300 ft. of street frontage for proposed 2nd sign (CG-20 Zone). #08-10 – Elizabeth Ryder, 47 Westville Avenue (G14152), Sec.4.C.3., to reduce min. req’d. lot width from 75 ft. to 66 ft.; to reduce min. E side yard from 15 ft. to 10.9 ft.; to reduce min. W side yard from 15 ft. to 12 ft.; Sec.8.B.1.b. (4)., to reduce 2-way driveway width from 20 ft. to 8 ft. to legalize 2-family residence (R-3 Zone). #08-12 – Victorian Associates, LLC / Robert Botelho, 24 Granville Avenue (I13227), Sec.4.B.3., to reduce min. req’d. front yard setback from 20 ft. to 16 ft. for architectural entrance overhangs (RMF-4 Zone). Five years, countless lives lost, and no end in sight. 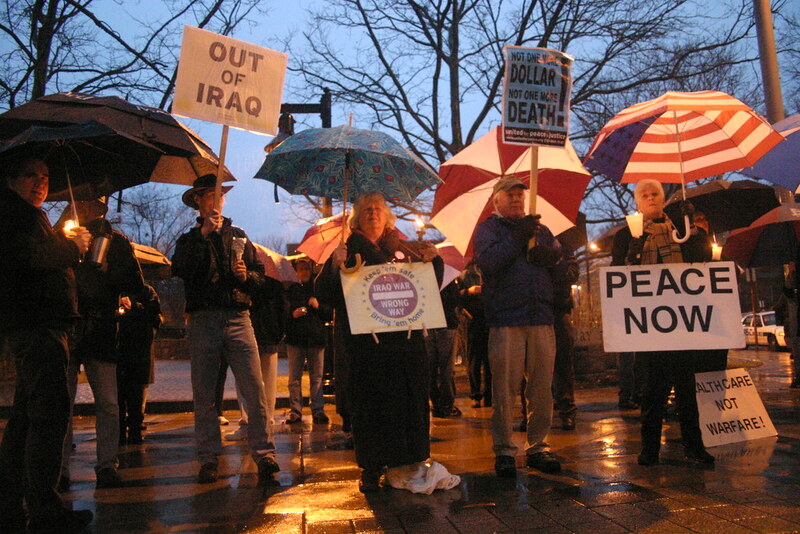 That's the thought which comes to mind when I think about the war in Iraq and it's the overwhelming response I heard from people I talked to in my travels last night at the various anti-war vigils held across Connecticut. 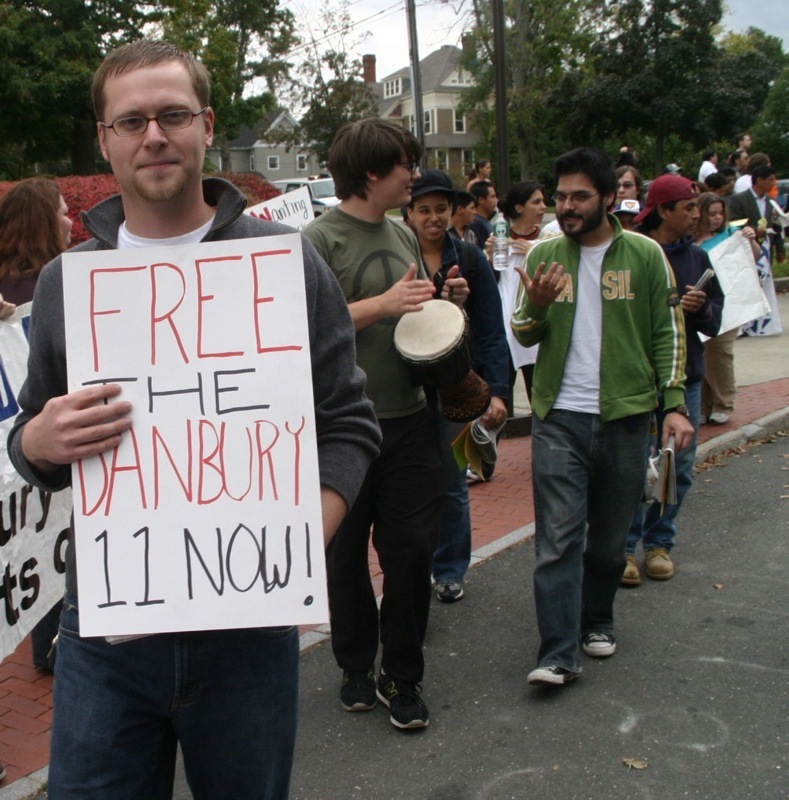 Unlike years past when I attended the Connecticut Opposes the War rallies in Hartford (2006, 2007), for this anniversary, I decided to travel to smaller vigils in Connecticut and get a sense of what people are saying in their communities about our present situation in Iraq. With thousands of lives lost, more proof that the war was based on fear and untruths, and the sense that conditions in this country are worse than when the war started, people I talked to had a great deal to say about the failures of the Bush administration as well as their desire that the next president has the wisdom to bring our troops home as quickly as possible. The Richter Park Authority (RPA) held their monthly meeting on Tuesday to discuss various topics including the preliminary 20-year plan that was unveiled last week. With residents alarmed by the authority's attempt to close the Richter House, and the increase criticism over the management of the park, I decided to sit in on the meeting and hear what they had to say. NOTE: Background noise was due to people dining at the restaurant. BONUS: For those interested in obtaining a copy of the preliminary copy of the 20-year master plan for the RPA, you can download a copy by clicking here. This is becoming an alarming occurrence. Police are on the scene investigating a robbery at a Chase Bank at 111 Newtown Road. Police are looking for a black male with dark clothing in relation to the investigation. Police say a weapon was displayed during the event but there are were no injuries reported. Police are describing the investigation as "an ongoing event." Canine units have been dispatched to the scene. The suspect was described as having a medium build and between 20 and 40 years old. He was wearing a charcoal gray T-shirt under a black sweat shirt and a black parka. He exited the bank through the Payne Road exit. As we reach the midway point in the 2008 session at the State Capitol, MikeCT over at My Left Nutmeg has put together an excellent package that summarizes the legislative agendas of a variety of state leaders and organizations. For those of you who are not up to date on what's happening in Hartford, this post is a must read.